Haaretz reports (here, premium edition) this morning the suspected arson at the Church of the Multiplication on the northwest shore of the Sea of Galilee at Heptapegon (= Tabgha). A storage room and offices were damaged in the fire. The church is claimed by Catholics to be the site of the miracle of the feeding of the multitudes by Jesus (Matthew 14:13-21; Mark 6:32-44; Luke 9:10-17; John 6). Egeria described the site in her fourth century travel diary and claimed it to be the site of the feeding of the multitudes. 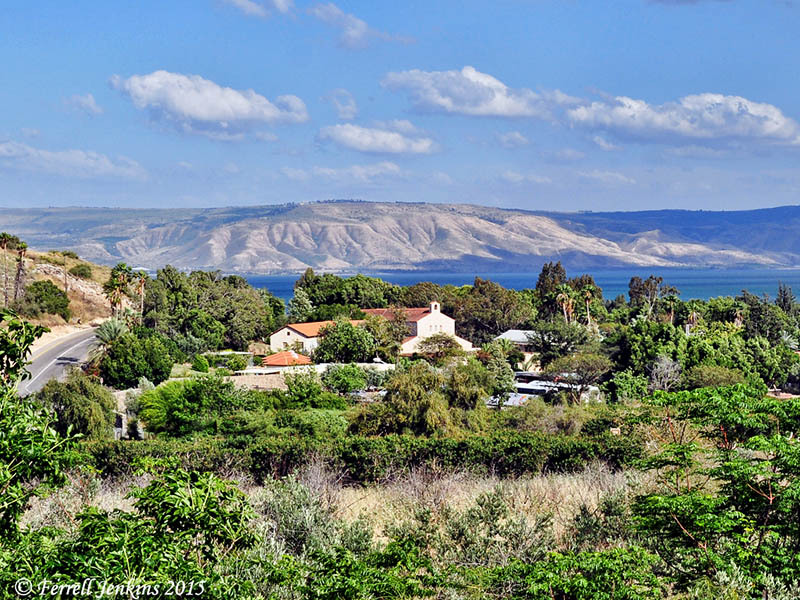 Some also claim that this is the site of Dalmanutha (Mark 8:10). I am among those who are uncertain that the area of Tabgha is the site of Dalmanutha, and rather certain that this is not the site of the feeding of the Five Thousand. It is, however, a beautiful location where one can study and meditate about the Biblical miracle. Our photo shows the location of the property associated with the Church of the Multiplication. Perhaps even more significant is the clarity of this view as it shows the eastern side of the Sea of Galilee and the Golan Heights. A view of the area of Tabgha from the west. Photo by Ferrell Jenkins. There are many ancient mosaics in the floor of the church. The most famous one is the mosaic of the loaves and fishes. 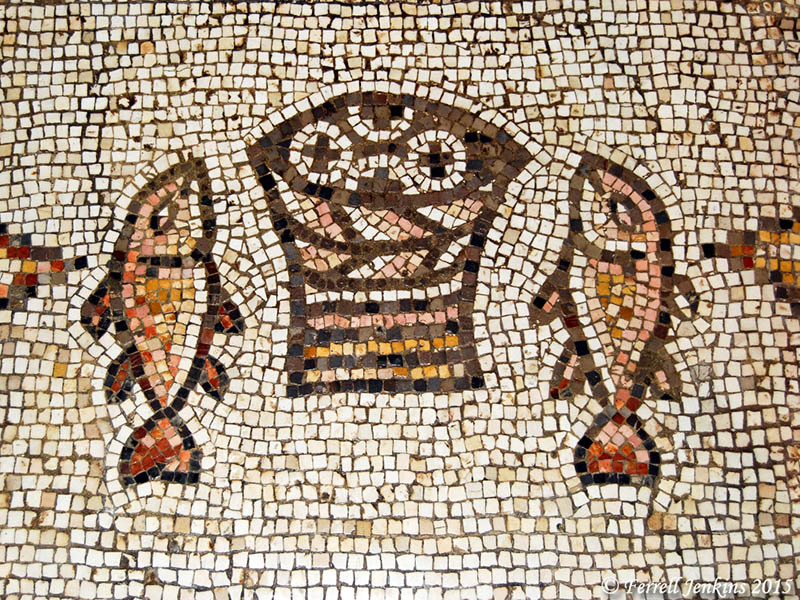 The mosaic of the loaves and fishes at Tabgha. Photo by Ferrell Jenkins. Archaeological Store Rooms Damaged. 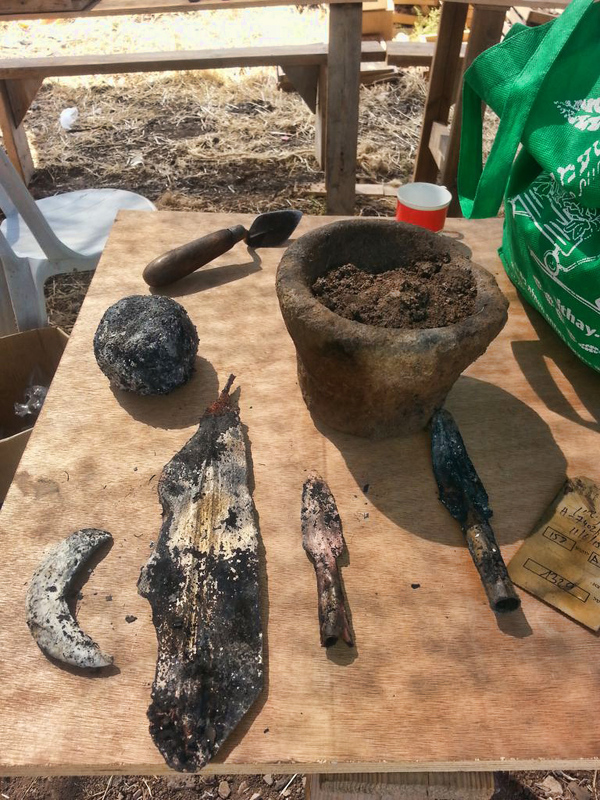 In a related matter, two days ago The Times of Israel reports (here) the arson of storerooms containing 4,000 year-old artifacts from an emergency excavation at Tel Kishon near Mount Tabor. Bronze age tools and artifacts damaged in the fire. Photo: Israel Antiquities Authority. When we destroy that of which we are ignorant we reflect lack of appreciation of any history. It happens all over the world. If we destroy that with which we disagree, what will happen when someone disagrees with us? Jesus spoke about that when Simon Peter tried to defend Him with a sword. This entry was posted in Archaeology, Bible Places, Bible Study, Church History, Culture, Israel, New Testament, Photography, Travel and tagged Ministry of Jesus. Bookmark the permalink. What a beautiful place – and just awful that someone would purposely attempt to destroy it!